Delve into the art of recycled plastics! 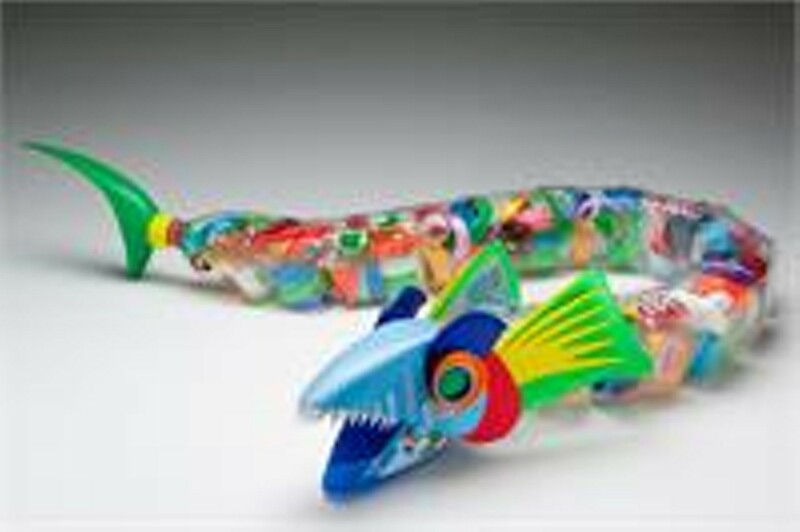 Artworks made from plastics result in lightweight and colorful pieces that have a festive, Pop Art aesthetic and an environmental subtext. This workshop will include demonstrations of equipment and fundamental techniques. Both large and small assembly project examples will be showcased. Students will complete three to four pieces during the workshop.